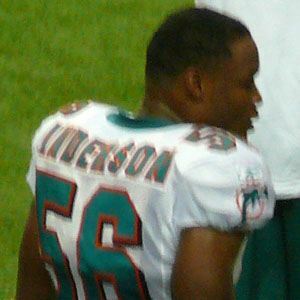 Linebacker who made his NFL debut in 2004 for the Houston Texans, then went on to play for the Miami Dolphins and Kansas City Chiefs. He competed in football, track, and soccer at Provine High School in Jackson, Mississippi. He played college football at the University of Mississippi. He has three children: Devin, Kylin, and Jaiden. He played alongside quarterback Matt Cassel in Kansas City.